I treated it as an assignment. “Why do I photograph toys…?” Hmmmmm. Of course, that’s all absolute nonsense and the answer to the question – WHY – is much more simple than any of that. When I was growing up, my Father was an Officer in the United States Army. When asked what I wanted to be when I grow up, my answer was always “I wanna be an Army man like my Dad!” I can directly attribute my enormous collection of G.I. Joe figures (yes, the originals with fuzzy beards and Kung-fu grip) and plastic green army men to being raised as an Army Brat. Those figures suffered through unimaginable battles. I’d melt pieces of them out, create a small hole and place shredded cotton, colored red with a marker, in the holes to simulate blood…than take them outside, set them up somewhere and take pictures. After I’d burn up a roll of Kodak 110, my Mom would take that film to get them developed somewhere…I vaguely remember a shack in the middle of a parking lot off of Highway 440 in Killeen, Texas. Than, what seemed like many years later, we’d get the developed roll back and I’d tear open the envelope to stare at my glorious war scenes I’d recreated! Of course, the photos were terrible, out of focus and blurry. But I had taken an idea I had in my imagination and “made it” real. I spent many, many hours setting up R2-D2 and C-3PO in the playground trying to recreate scenes from Star Wars. Hard to do with the limited number of figures available at the time, but damn if I didn’t try my hardest. Fast-forward thirty years and toy photography has become my “creative outlet”. I’ve always done it, before there was a name for it and long before social media existed. A few years ago, I was messing around with a clone trooper from the Star Wars saga and on a whim I posted it to Instagram. It wasn’t anything fancy. The trooper was sitting at the end of a beach chair and I was fortunate enough to catch some lens flare. Surprisingly, the picture was a hit with (GASP) other toy photographers! There were OTHER people that were doing the SAME THING! My weird little hobby had found a home. I’ve met some incredibly talented people in “IG Land”. I’ve been inspired, amazed and sometimes, literally speechless when scrolling through my feed. So many talented people across the globe, all taking pictures of toys, with the dedication, enthusiasm and achieving the results you’d expect to see in an art museum. So why do I photograph toys? I guess because I always have. It’s a part of who I am. I’m always looking for a way to improve my shots and discovering new techniques to employ. I enjoy the entire process. Toy photography is a small and fairly specialized genre… I certainly hope I’m part of it when it’s noticed AND respected for what it is, by a much larger audience. This post is part of our “Why? series”, where we interview toy photographers around the world and ask them the simple question: Why? I remember that picture Matt!! I have followed you since that first shot I think.. Great read my friend. You absolutely have been following me since then, you’re one of the “Original Six”! There’s only three left now. Thank you for all of your support and compliments Windy. I love the why ! Thank you! I’m ecstatic to be here! Fantastic Matt!!! Looking forward to reading you every tuesday! I love looking back and seeing how many people have progressed in toy photography and you’re definitely one of them. Looking forward to your weeky posts, Matt. Always a joy to read what comes out of that head of yours! Looking forward to reading your stuff Sir Matt…carry on the good work! Warmest Congratulations Matt! nice to read your story on the reason “why” we do this fun hobby. 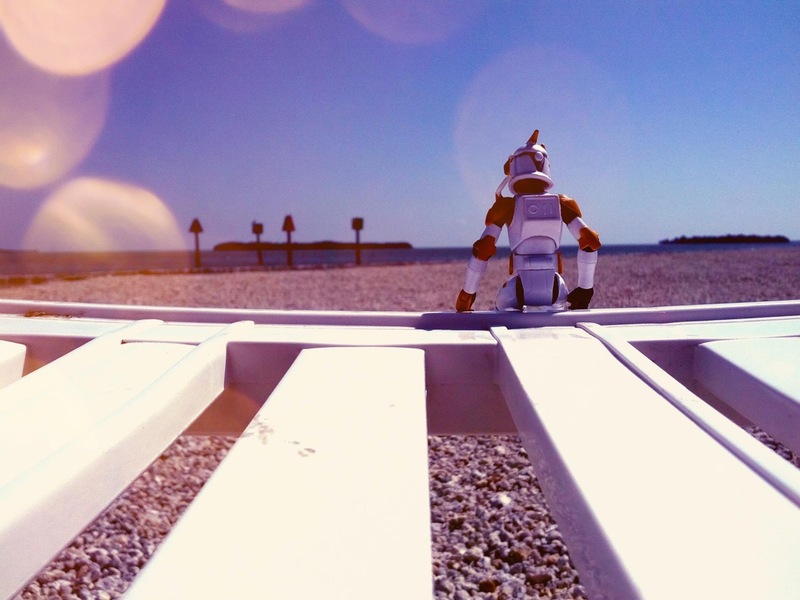 And you’re style in toy photography is absolutely creative and stunning. Hi CK, nice story. Your’s sounds similar to my wife’s, grew up in TX in the late 70s too, except her story involves something like “A Million Ways to Die Barbie”… She and I now shoot toys as a creative outlet . Also, I like your blog name, reminds me of one of the first photo blogs I ever followed, “Stuck in Customs.” Keep up the nice work!